I recently made an order from esscentals as they have 20% off all of their products which for brand such as Clarins I think is really good. I tried not to buy too much so I went with two items that I had been after for a quite a while. Clarins lip comfort Oil, firstly I love the packaging of this product I think it looks quite expensive, I also love the applicator as it's quite big and only needs to applied once. I was expecting this to be slightly sticky but that definitely wasn't the case, it sinks into your lips quite well while also leaving your lips feeling soft for quite a few hours. It's also very glossy so it can be worn of a day to especially during the winter. 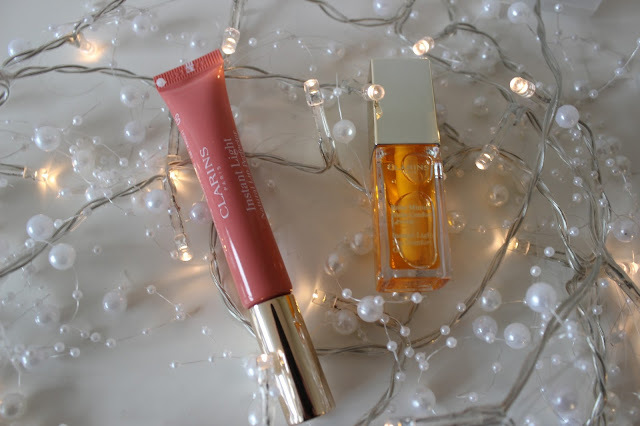 Next I order the Clarins instant light lip perfector- I had been wanting to try one of these for quite a while now after hearing so many good things about them. I went for shade 05 candy shimmer which is a very natural pinky shade, although I wish I would have got 06 in Rosewood as it's slightly darker. But I do love this shade its such a wearable everyday shade for when you don't want to wear a lipstick. 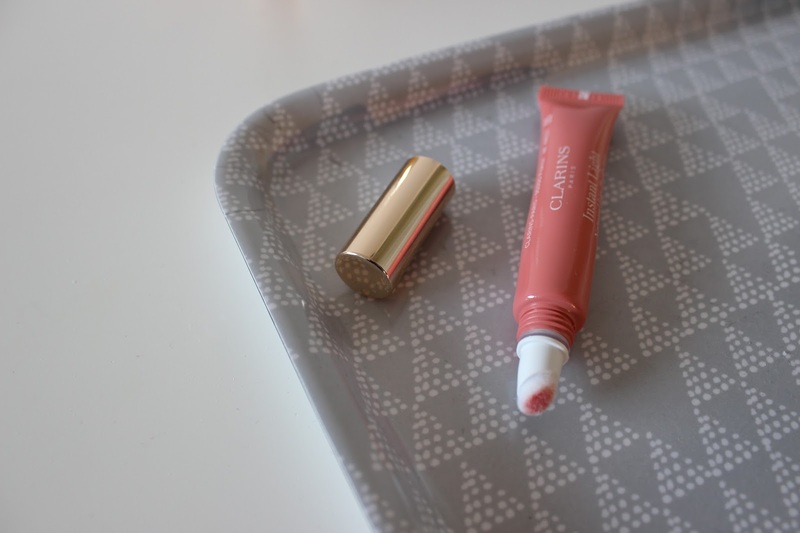 I also love the packaging of this product as with all Clarins products its very simple and pretty. They are available in 7 shades and i'll be definitely picking up some more shades to try! They are available for £18 on escentual who currently have 20% off everything. 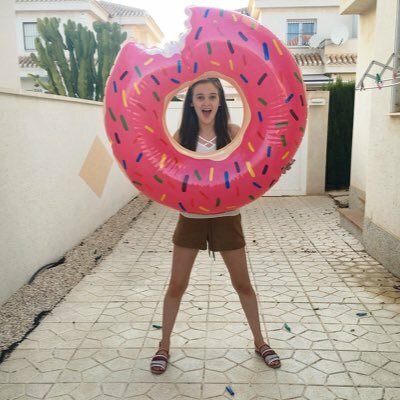 Your pictures are so beautiful, lovely post! I saw that Zoella uses the comfort oil.. 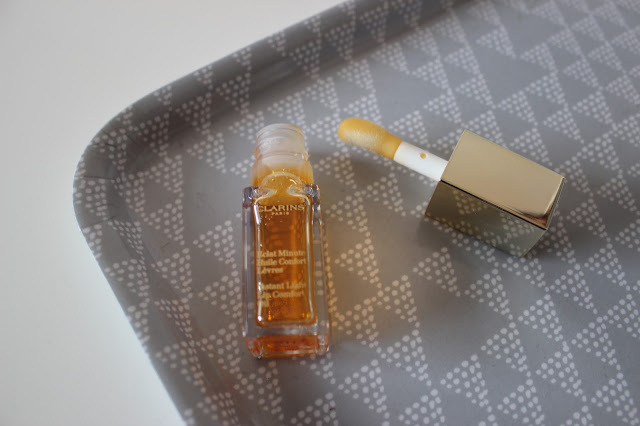 I want to try Korres lip butter next time I'm in Sephora... As for Clarins products, not sure yet because I know they're amazing, but they're not completely hyped like other brands. I love these pictures and the products seem really interesting, might have to try them! I love those lip perfectors they're probably my favourite product from the brand!